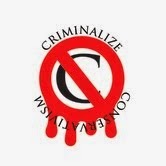 Criminalize Conservatism: Why Should Fox News Be Allowed To Lie To Us? 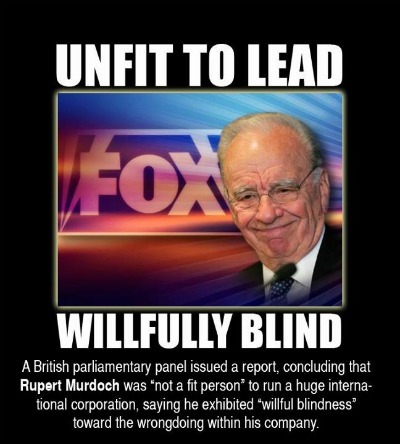 Why Should Fox News Be Allowed To Lie To Us? When ex-Fox News host Glen Beck said this - "This president I think has exposed himself over and over again as a guy who has a deep-seated hatred for white people or the white culture....I'm not saying he doesn't like white people, I'm saying he has a problem. This guy is, I believe, a racist." - it sparked an advertiser exodus from his show in 2009. 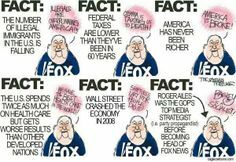 But even though it's been proven that Fox NEWS lies most all of the time, we still allow them to exist! "For liberals, it’s not exactly “breaking news” to find out that Fox News is mostly comprised of misinformation or flat-out lies. Anyone with even a shred of common sense can watch just a handful of their featured shows and see that the entire channel is nothing more than a propaganda mechanism for the Republican party. 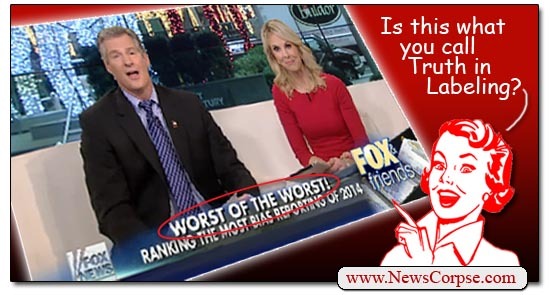 "Comic Relief: Fox News Runs Laughably Biased Report On Media Bias." "Reminiscing about the year gone by is a favorite pastime of media outlets as the calendar turns the page to a new year. At the top of everyone’s list are lists – generally assembling the best or worst of some category of events. And Fox News is no different as they try to capture those things that resonated for the nation, or at least for their viewers. ...and by "incredibly stupid," we mean "practically comatose." ...so here is how it looks today in the U.S.
...and here is a group of people Fox hates. ...and what it is can only be described as "criminal." We don't allow anyone to yell "fire" in a crowded theater, nor do we allow heroin dealers to push drugs on our campuses...yet Faux News is allowed to broadcast their lies to us 24/7 ON OUR AIRWAVES...it's time to shut them down or rename them the GOP Marching Orders. As a Roger Ailes invention, Fox News has proceeded along its merry way to misinform and turn fear into hate. If they seriously want to be a news organization, they should report - not distort. If they seriously want to be a propaganda tool, then their name should reflect that fact. Fox News host Sean Hannity (October 31, 2007).